Best Advanced and Interesting Car Apps for Android features some extremely useful and innovative Apps which can be used while traveling by car. Previously, we published one article on Android Apps for Car Navigation, however the scope of this post; Best Advanced and Interesting Car Apps for Android is beyond only navigation. How we have selected these Best Advanced and Interesting Car Apps for Android ? You can type or copy any name of the Apps listed in this list of Best Advanced and Interesting Car Apps for Android and search it in Play using the Search function. SpeedView : SpeedView is an advanced speedometer application that uses the phone’s built-in GPS system to show your current maximum and average speed, as well as the direction, total distance, and time traveled. 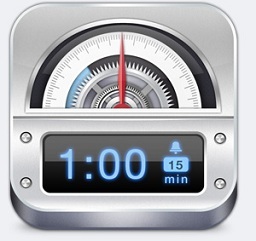 Car Dashboard Pro : Car Dashboard is both a speedometer and a Car Home dock replacement app. Use this app to watch your speed and easily access 20 customizable shortcuts! Maverick : Off-road GPS navigator with offline maps support, compass and track recording. Park Alarm : This app allows you to easily create a snoozable alarm to remind you to move your car. Omnidar : The omnidar is the most powerfull detecting device available to mobile phone. Car Locator : Ever forgot where you parked your car? This will not happen again using the Car Locator App! We hope you can enjoy some of these Best Advanced and Interesting Car Apps for Android. This Article Has Been Shared 2071 Times! Cite this article as: Abhishek Ghosh, "Best Advanced and Interesting Car Apps for Android," in The Customize Windows, April 23, 2012, April 20, 2019, https://thecustomizewindows.com/2012/04/best-advanced-and-interesting-car-apps-for-android/.